The Beech Scholarship Fund (BCS) is in honor of Dr. Bernard C. Watson, John C. Haas, F. Otto Haas, Floyd W. Alston, and Robert W. Smith. Annually, BCS awards a $1,000 scholarship to deserving, minority students of color. The scholarship will be awarded to qualifying and deserving high school seniors entering Temple University, Cheyney University, Lincoln University, or Community College of Philadelphia as a full-time freshman; or, be a current full-time student at one of the four colleges for the fall 2019 academic year. The funding commitment from the Beech Scholarship Fund sets a criterion that includes entering with a grade point average of 2.75 or higher and declaring a major in Arts, Business, Engineering, Education, or Liberal Arts, and are active in extra-curricular activities through their school, church, community or work. High School seniors and current college students who attend one of the qualifying colleges and are interested in applying for a scholarship may download the applicable application below. Any person with questions regarding the scholarship may contact Christine Brown by email at cbrown@beechinterplex.com.The deadline to submit your application is Friday, April 5, 2019 at 3:00pm. Applications received after the deadline will not be accepted. 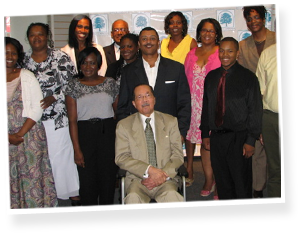 The Beech Scholarship Fund recipient selection process is designed to ensure fairness to all qualified applicants. All applicants are ranked fairly and are selected according to the scholarship criteria. Once the Selection Committee has reviewed each application and have selected the scholarship recipients, awardees will be notified by Monday, June 3, 2019 of the Committee’s decision.